Doing a Bachelor or Master degree or having a managerial position in a company already requires high effords and a lot of time. However, doing competitive sports in a national team and representing your country internationally tightens your time schedule of course even more. 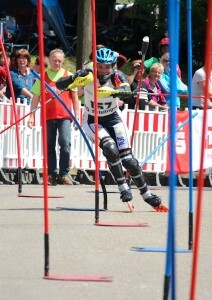 I started with Inline Alpine before I did my A-levels. So I was used to this so called ´double burden´ (school and sports) already when I started to study Business Administration at the University of Mannheim. During all these years I had to learn how to manage my time more efficiently. As luck would have it I always had most of the competitions during exam times which even put more pressure on me. During these times every hour of my day was scheduled. Everything had to be planned and organized in advance and possible variances had to be considered. In addition I had to learn how to prioritize certain events which is sometimes pretty difficult. Here is an example: Once I qualified for a Worldcup in Genova, Italy. The Worldcup took place on a Sundy, the next day I had an exam in the morning. My plan was to achieve good results in both. 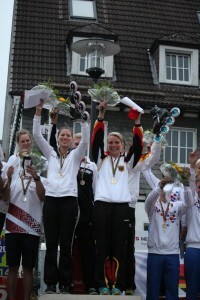 In the end the Worldcup took longer than expected so that I arrived in Mannheim at around 5 am in the morning. Four hours later I had to write the exam. I achieved my goals, but I know that I could have done much more better if I would have concentrated on a single event. I never did something like this again and for the future I learned that I should avoid similar situations and try to prioritize. In general I can say that I impoved my time management from exam time to exam time because I got immediatelly into trouble when I did a misjudgement regarding the available time. When somebody has a managerial position the time pressure is normally very high and therefore he or she has to develop own efficient strategies for time management. In my view doing professional sports helped me a lot to develop these strategies and to detect areas of time management which should be impoved furthermore. In the end good time management skills are always very helpful and valuable for the occupational career.